Today, I'm interviewing a British guardian angel tasked with training an extremely talented, yet extremely complicated, young man named Griffin. Their story begins with Griffin Rising. L: Hey Basil! As Griffin's mentor and friend, I have a few questions for you. I hope that's okay! B: Why, of course, miss. And before I begin, let me express my gratitude to you and your followers for inviting me. It is my great pleasure to talk with you today. L: To say that Griffin's past was a dark one is an understatement. What are some other things that set him apart from the previous Tiros you've mentored? B: In spite of enduring three years of abuse at the hands of his former Mentor, Griffin has managed to emerge from that hell with his heart and soul intact. His capacity for finding the good in every situation and every person is a testament to his resilience. He is a true Terrae Angelus in full sense of the word. Griffin is also remarkably gifted in the use of his Elements. At thirteen, he was able to do things with Fire most of my other Earth and Fire apprentices were not able to until they were much older. On a lighter note, he also has a wicked sense of humor and enjoys, as you Americans say, yanking my chain. L: What do you find to be the most challenging thing about being Griffin's mentor? B: At first, I had to gain his trust – he was dreadfully fearful of me due to his life with Nicopolis. But that eventually passed, although he still has trouble handling any criticisms or reprimands. He may always carry those scars inside of him. Nowadays, I am dealing with a bit of adolescent attitude from him. We’ve been butting heads more than ever before. Secretly, I find it all amusing, but please do not tell him that. L: What is the most rewarding thing about mentoring this unique Tiro? B: Why, watching him grow into the fine young Terrae Angelus he was meant to be. And working with him in the field on missions. With our complimentary Elements (I am Wind and Water, he is Earth and Fire), we are quite an effective team. L: What are five things you hope for Griffin in his future? L: What words of advice do you find yourself constantly giving Griffin? B: No texting while flying. L: What do you do when you're between Tiros? B: I usually travel back to England to reconnect with my ancestral homeland and catch up with old friends. B: And many thanks to you, Miss Lisa, for this opportunity. I’ve enjoyed myself immensely. 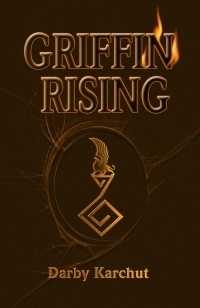 Be sure to check out the complete story in Griffin Rising by Darby Karchut. 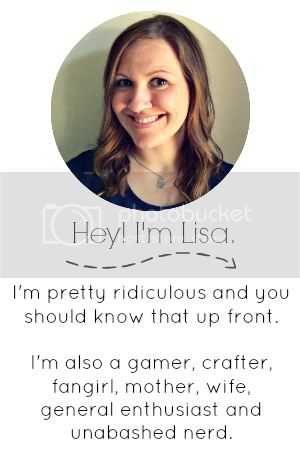 Thanks to The Teen Book Scene for hosting this tour! Thanks, Lisa, for having me here today. These questions were loads of fun! "No texting while flying" --> This part totally cracked me up! On a more serious note, I absolutely love the five things he hopes for Griffin. "Joyful labor. Peaceful sleep. Lasting friendships. Principled ethics. And a life well-lived in service of others. " ---> Not bad. We all should be this lucky. Alexa and Ashley: Thanks for saying that! Basil is not only a wise person, but a great father-figure to Griffin. I've never heard of this but seriously will have to check it out! I also LOVE the interview style! Cracks me up! I did something similar a while back with different vampires and it was so much fun imagining what they would say. Fun times! She is a wonder! I'm a little bit partial though! !